Governments at state and national levels have set up innovations centres to identify, encourage and upscale innovations in India. A national innovation framework has been developed by the National Council for Innovation in which education is an important sector. Schools have been encouraged to innovate for transforming processes and systems to improve the quality of education. 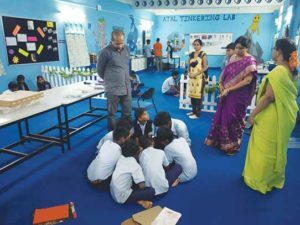 Atal Tinkering Labs have been set up in select schools to encourage innovations for learning and experimentation. Notwithstanding this buzz, what do we really know about innovation? This question assumes greater importance in the social sectors, in domains such as education, where the results are intangible and not-for-profit but to improve school quality and student learning. Awards are also constituted for innovations carried out by teachers, school heads, students and educational administrators by national level organizations such as NCERT and NIEPA (The National Institute of Educational Planning and Administration). While teaching innovation in school leadership programmes, I realized that there is a superficial understanding about innovation. It is often misperceived as what is ‘new to me’ is innovation. School heads and educational administrators are unable to discern the distinction between innovation and other forms of change. Therefore, I felt it necessary to undertake this exercise that benefits education functionaries including teachers in India. To bring home the point, I will use the transcript of a talk on innovation recorded by Prof. Vijay Sherry Chand in the 80s which is relevant even today. Prof. Chand is Professor and Chairperson at Ravi J. Matthai Centre for Educational Innovation at the Indian Institute of Management, Ahmedabad. There was a teacher named Takkar Sherif in a village of salt pan workers in Gujarat. This village had extremely low literacy levels and kids did not go to school. He did try the traditional methods of talking to parents, motivating them to send their children to school, etc., but nothing worked. So he hit upon another idea: he collected the birth dates of all the kids in the village regardless of age… and made a roster. On the birthday of that kid, he would send a postcard made into a greeting card by his school kids to the parents of the non-enrolled child. The post card very simply said, “Today your child is one year old and four years to go. Next year, the same kid would get another card saying, “Today your child is two years old and three years to go”. Like this, he built up an awareness for education through greeting cards. Imagine an illiterate parent who never gets letters in the first place, gets a greeting card. He gets it read out by someone else and feels extremely nice about it. In this way, a climate is built up for education even though it took him sometime. This is such a simple (exercise), 15 paise was the cost of the postcard and even if he sends for three years, it is just 45 paise. At that cost, making a breakthrough in the community of salt pan workers with high illiteracy levels is one of the most effective innovations that I have come across. The beauty of this innovation is when we shared it with others, about 600 teachers adopted it. They said, we too have the same problem. So, why can’t we start it in our school in the community also? Adapting the innovations to his school, one teacher made a month-wise chart, arranged date-wise and sees it every day. He just has to open the (attendance) book to get an idea of the children who are not coming to school, who are ready for school and to whom greeting cards can be sent. This is an innovation. Because, it is entirely new and solves the problems for which traditional solutions have not yielded results. Traditional solutions are convincing the parents, talking to them, and meeting them, etc., which have not worked. This has achieved results. In the sense, after five years, there is no kid out of school. So, all three conditions, namely, novelty, impact and cost-effectiveness, are met in this initiative. That is why it qualifies to be an innovation. Innovations can be adapted to address other similar situations: A change can be called an innovation if it is ‘new’, cost-effective, yields results, and has an impact that significantly alters the rhythm of the present condition to address the need or a problem. It can also be used by others in different circumstances with suitable modifications. Hence, a distinguishing factor for innovation is the replication of ideas in other situations and contexts with and/or without modifications. In this example also, many school heads used the idea to address the issue of student participation and enrollment with suitable modification. Multi-dimensional, multifold and multilateral impact: Innovations address the specific context to ensure relevance and high impact. 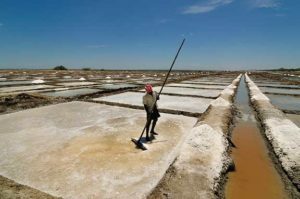 In this context, salt pan workers are illiterate, poor and have little exposure to modernization and technology. They find it special to receive a greeting card, not once, but year after year arousing a curiosity in them. In the process, the parents gradually became aware of the presence of the school, its importance, the necessity of sending the child to school and so on. Parents also had the time to think, rethink, understand and assimilate the idea for a few years before sending a child to school. As a result, not only no child was left out of school after five years, but also no parent was left unaware about the importance of schooling for the child. It prepared both parents and children for schooling and education. It successfully addressed the issue of awareness building for universalization of enrollment of students among community members. Context specific and need based: The same postcard used to make birthday greeting cards and sent to parents may be irrelevant in the urban areas where there is exposure to other means of communication. Hence, being sensitive to the context is important to effect change. Here, the need was felt not by the parents but by the school head. Parents are unaware of such a need. So, the felt need by key education functionaries within the system is as important as need felt (or not felt) by the stakeholders in the community. Cost-effective: All innovations aim at achieving end-results incurring minimal expenditure. In the example, the community was also not in a position to donate funds for the school. So, the school head had to think of an idea which did not involve high uncertainty with respect to costs involved in innovations. The expenditure per child did not cross beyond Rs 3 to 4. The school head could spend from the school’s account or his own. There was no need to raise funds from external agencies. Solves problems: Another important feature is the school head’s internal motivation to find a solution for an insurmountable problem. This indicates that innovation demands perseverance, patience, experimentation, risk taking and connecting ideas with people’s needs rather than just generating ideas per se. In the example, the school head pursued efforts for five years before getting the desired results. Sustainability and impact: Till such time when no special efforts are required after obtaining results, the effort is said to be sustainable. In this example, no child was out of the school after five years. It meant that children also did not drop out from the school, which is a clear case of high impact and sustainability. Non-traditional approach: A change that takes care of routinization, repetition and dysfunctionality and has the potential to address undesired results is a non-traditional approach. In this example, the traditional approach was replaced by the non-traditional approach of sending birthday greeting cards to the parents with a message to admit their child to school. Innovation is distinct from creativity, reforms, transformation, improvement and invention even though there are some commonalities. An important feature of innovation is that it questions the conventional systems, processes and methods that tend to alter the status quo and hence referred to as disruptors. It particularly contrasts other approaches to change, namely, transformation, reforms or improvement which need not necessarily alter the status quo but efforts may result in altering the equilibrium temporarily or for a long time. Hence, all changes need not be innovations but all innovations must necessarily involve change. Innovation is context specific to address the felt need, find a local specific solution to problems using non-conventional approaches that are cost-effective. Reforms, transformation, improvement, etc., do not emphasize on cost effectiveness since funds flow mostly from external agencies. This implies that time-tested standardized conventional methods and techniques may be defined and standardized by the funding agencies emphasizing little on ‘novelty’ to address contextual challenges. Notwithstanding this, innovations are possible within these change processes. Novelty is a common feature in creativity, invention and innovation. While innovation focuses on solving a problem cost effectively, creativity and invention do not aim at addressing a problem or cost. Novelty in creativity need not necessarily be specific to a context that contrasts innovations. For example: a well-composed tune for a song need not solve a problem but by itself is able to impact thousands of people. Similarly, poets may impact the social systems with poems that have a message. Inventions too can be applications of theories and concepts impacting a quality in the lives of people through technological, science, or economic changes irrespective of the problems. For example, though integrated chips were not initially created for lighting bulbs, using integrated chips for lighting has come a long way from bulbs with tungsten filament in the entire world. Therefore, use of inventions especially in technology can be universal unlike innovations which are contextual addressing specific needs. Nevertheless, innovations can be introduced in inventions and creativity for enhancing utilitarian value. Distinctions are also found between innovations, good practices and best practices. Good practice is time-tested that consistently yields expected results. Best practice is characterized by benchmarks against which performance is measured for accreditation. Both good practice and best practice need not aim at adopting non-traditional approaches. They are mostly driven by external agencies incurring higher costs and emphasizing less on risk-taking, experimentation and self-evaluation. In contrast, innovation can even change these good and best practices to address serious issues of adaptation to changing situations, thus forcing them to revisit their own standards and benchmarks. Create, think and review strategies from time to time. Reward potential ideas and actions. Recognize and encourage the talent of employees. Do not attach innovations to one’s job or roles. Incubate ideas but don’t mandate insights. Satisfy the ego of seniority but value insights from the junior staff, teachers, students and others. Individual innovation does not require an organizational process, but collective innovation requires organizational process. Accept disruptors who question the existing norm and processes in the organization as they look at the day-to-day processes differently. Define and measure strategic leadership competencies for innovation to recognize the talent and encourage them to innovate. Be the innovator that you want others to be. The author is Assistant Professor, National Centre for School Leadership, National Institute of Educational Planning and Administration, New Delhi. She can be reached at sastry.mythili18@gmail.com.